Central Asia still remains a mystery to travelers. Uzbekistan is one of the most enigmatic and beautiful of Central Asian countries, and an integral part of the historic silk route. Uzbekistan’s history, combined with its Soviet past results in an eclectic mixture of modernity and tradition. Explore the Silk Road beauty, and all the power of the old Soviet Union in one location. All you have to do is find out what is the best time to visit Uzbekistan and you’re good to go! The best time to visit Uzbekistan is between March - May, during the spring, when the skies are clear, and there is enough wind to keep the weather pleasant. Another great time to visit Uzbekistan is September - November, when the summer heat begins to wear off, and the weather becomes cooler again! The high tourist season in Uzbekistan is between June - August, but this is peak of summer, when the weather is incredibly hot and sweltering, so it is not the recommended time to travel. Between December - February is the winter season, and is the low season in Uzbekistan, when the tourist footfall is incredibly low. A lot of people do not realize the beauty of Uzbekistan, due to its tumultuous past as a Soviet Union territory. 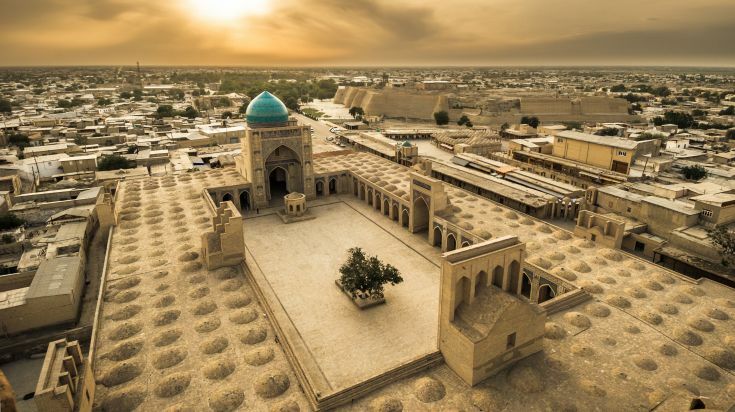 However, the moment you set foot into Uzbekistan, you will feel like you’ve stepped into a time capsule, one that can take you into the 6th century, when the country was at the crossroads of the Silk Route trade! 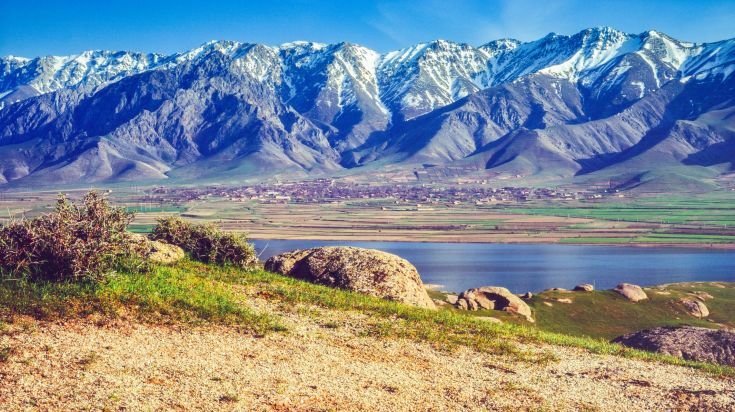 The country has a lot to offer - you just have to focus on when to visit Uzbekistan! The best time to visit Uzbekistan is during spring and fall. Between March - May, the weather is ideal for outdoor activities. The winter chill fades away, but the summer heat has not set in, so you will have the perfect temperature for your tourist benefit! The weather in Uzbekistan from September - November is also pretty ideal, as it is the perfect fall weather. The oppressive heat of the summer, and the tourist crowds would have faded away, giving you the perfect opportunity for exploration! Following the winter, the temperatures start rising around March, making the weather rather pleasant. The weather in Uzbekistan is warm, without being too hot, but in March, there is a high possibility of rainfall. The rainfall is not too high, so it will not hinder your plans, though. This is a shoulder season, so there won’t be too much of a footfall in the country. 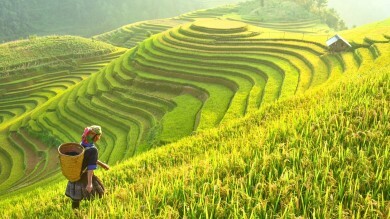 Highlights: Since the weather is incredibly pleasant, this is a great time for you to travel through the Silk Route, and the Golden Valley. You can also spend a night at the Kyzylkum Desert, before the summer heat begins. In May, you can participate in the Silk and Spices Festival, which celebrates Uzbek arts, crafts, and traditions (and is the best place to pick up the best souvenirs). While June is still bearable, the temperatures begin climbing up by July. July and August are the hottest months in Uzbekistan, and it gets incredibly humid and balmy. This is not the ideal time to visit the country, especially since you will not be able to go on any road trips when the sun is this strong. This is high season due to school holidays, and holidays in Europe, so expect a lot more tourists during this season. 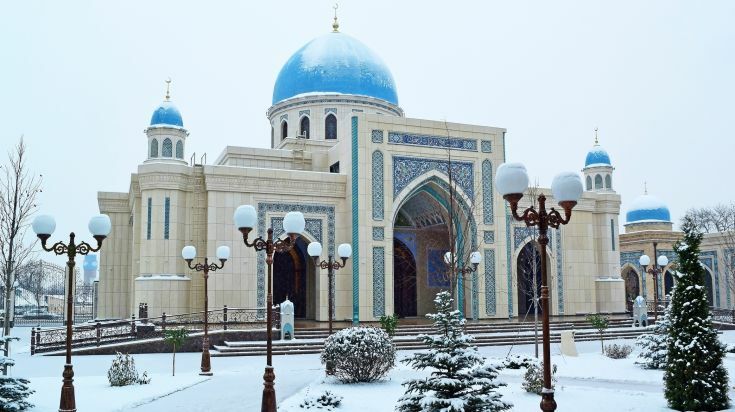 Highlights: In case you do have to travel to Uzbekistan during this period, you can seek some recluse in the Fergana Valley, where it will be slightly cooler than in the deserts. You can also explore Tashkent, when all the crowds are there, as it will turn into a lively city. Just remember to stick to the areas with air conditioning for you own good! By September, the summer heat starts to cool down. This period before the winter starts is one of the best times to visit Uzbekistan as the weather is stunning, and the crowds would have also dissipated. This is another shoulder season, so you won’t have to abide by a strict schedule! 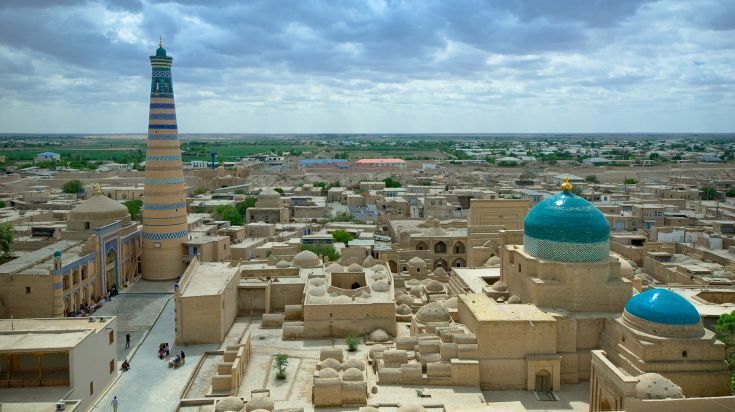 Highlights: The fall season is the best time to explore Uzbekistan’s numerous cultural offerings - from the Minaret of Islam Hodja, to Samarkand, and the village of Konigil, or the Buddhist city of Termez. To experience a touch of Sufism, you can head to the many mausoleums across the country (especially the mausoleum of Sheykh Zayniddin-bobo). This is also when to visit Uzbekistan to experience the best of the cuisine, as this is when the country goes into harvest! Uzbekistan’s winters can be cold, but they are still mild compared to other countries in Central Asia. January and February are the coldest months, but even then, the temperatures do not drop too far below 0. Expect strong winds which will make the cold worse, though. However, this is a low season, which means you can get huge discounts! Highlights: If you are a photographer, this is when to visit Uzbekistan. The skies are extremely clear, and there are little to no visitors in the country, so you will be able to take magnificent photographs! This is a great period to visit Tashkent, and explore its beautiful galleries and markets, without worrying about the tourist overflow!